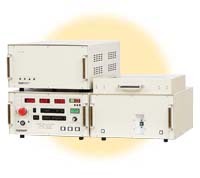 PRODUCT | DIODE TEST SYSTEM | CATS Inc.
CATS diode testers rushed of new products such as surge testers that are necessary for diode test. IFSM-10ZZRPB is designed to guarantee tolerance of IFSM by forcing IFSM constantly in 1000A maximum and measure peak voltage value. It corresponds up to 2 elements measurement of diode with constant alternation measurement. IFSM-45ZZ has been designed to guarantee tolerance of IFSM by forcing IFSM which is 4500A at maximum (It is only single measurement). Half-wave time range is settable from 1.0ms to 11.0ms. By applying IFSM at 500A (at the maximum) and performing peak voltage and measurement, this tester guarantees strength of IFSM. 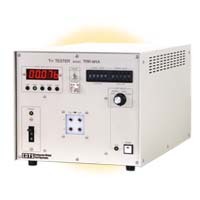 IFRM530Z has been designed to guarantee tolerance of IFSM by calculating IFRM which is diode forward surge current. VFR510Z has been designed to measure forward recovery voltage and time with digital oscilloscope by letting current flow forward direction of diode at high speed. The speed of diF/dt is guaranteed 500A/us. 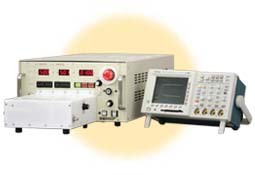 This test system verifies the surge breakdown of diodes by applying a fixed surge current in the reverse direction for a fixed interval of time to diode terminals. CV-30KB has been designed to perform ESD test by forcing at high voltage 30kV, then the tester guarantees device's deterioration by leak current measurement or breakdown voltage measurement. Leak voltage is measured before and after forcing surge pulse and check deterioration by the change of device. TRR-M1A is tester that IF and IR current are selectable from 100mA or 1A. Measurement range is from 20ns to 80.000μs.